Before And After Videos - Swim Smooth Stroke Correction In Action ~ Feel For The Water! Advice & Tips to Improve Your Swimming. Shauqie On the blog this week we're featuring four "before and after" videos of swimmers from our Swim Smooth coaches around the world. Check them out below - do you recognise yourself in any of them? Some of the stroke corrections are truly transformative to the overall stroke, whilst others are smaller tweaks bringing important gains. Like any swimmer, their stroke technique isn't yet "perfect" or "finished" but the common theme in all the changes is moving forwards with measurable improvements to their stroke mechanics and performance. Shauqie: As you can see above, in the original footage of Goh (top) taken back in 2016 he was barely able to swim 100m, his stroke containing a dominant stop-start action. Over the last two years we have worked on several key drill sequences to improve his stroke. The most significant one has been to remove the deadspot at the front of the stroke where the two hands meet (or "catch up") at the front and there is a lack of continuous propulsion. This is like driving in gear 1 or 2 and never being able to go to gear 3 or 4. To correct this we worked on a drill sequence including Doggy Paddle and Unco drill to have continuous propulsion. Over time we also used a Tempo Trainer Pro to work on his stroke rhythm, which has now lifted from 44 Strokes Per Minute to 64. The result is that Goh is now swimming very effectively with a CSS pace around 1:56/100m. Goh: I am very fortunate to have met Coach Shauqie on my swimming journey, compared to those typical swim coach who only yelled at their student (which I saw at some pool). Shauqie is a very passionate coach where he would explain the reason behind every drill, how all the mistakes you made slow you down. Being an engineer, I really enjoy how he fed me this information and I learnt a lot regarding stroke correction from him over the past 2 years. Head position, split view, imaginary rope, bend elbow and body rotation - these are the things I keep telling myself during every swim sessions. I studied all the video from Swim Smooth Guru, I could watch those elites swim video over and over and over again. Eagerness to improve and a good coach is all you need, yesterday has already passed, but if you start today, you will reach there 1 day earlier than if you start tomorrow! Merle - I met Simon in January 2017 when he was looking how to get faster in his iron distance triathlon racing. Simon had been swimming around 10 years always swimming 'mid pack' compared to his great cycling and running, around 65min per for a non wetsuit 3.8km swim. - Fine tuning body alignment and hand entry, with focus his on turned out hands after 'spearing in’ that impacted the early catch set up. - Removing the long glide at the front of his stroke that was making his tall body sink, which encouraged kickstart leg kick and straight arm pull through. The emphasis was on feel of the water, effective catch on the front and good rhythm for the stroke. In addition to the technique work identified in the video analysis, we got him started on a CSS based training program to improve his swim endurance and pacing skills. We started off with the pace around 1:40 /100m and managed to get that down to 1.28 /100m within 4 months. What a great dedicated athlete to work with! The most visible and significant thing we sorted in Mark’s stroke was getting rid of his dropped-elbow overglide. In the ‘before’ footage the fingers of his right hand reach so far upward that they actually break the surface as we see his palm facing forwards, stalling him and holding him back. Unsurprisingly he also had a serious scissor kick at the stage. In the ‘after’ clip, notice how Mark is much quicker into his catch, with the elbow staying higher. His scissor kick has reduced and his speed has improved by around 7 seconds /100m. 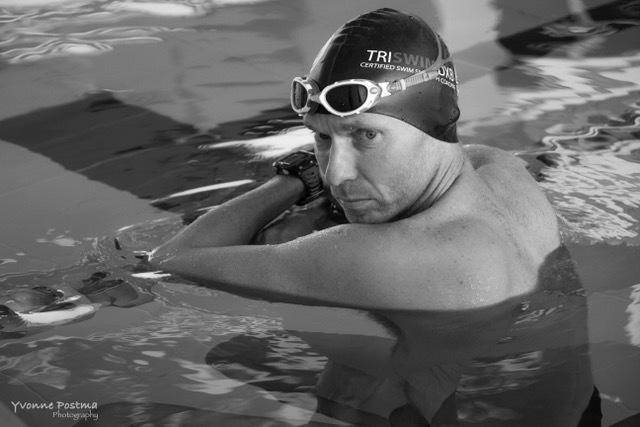 To make Mark into a much more effective swimmer, especially for open water, he has worked hard on Scull #1 and Doggy Paddle drills, as well as a number of side-kicking drills with fins, which have had the double effect of reducing his crossover and scissor kick, and training his lead arm not to drop the elbow. Morgan: I met Jill for the first time on Tuesday, yep that’s 31st of July 2018. 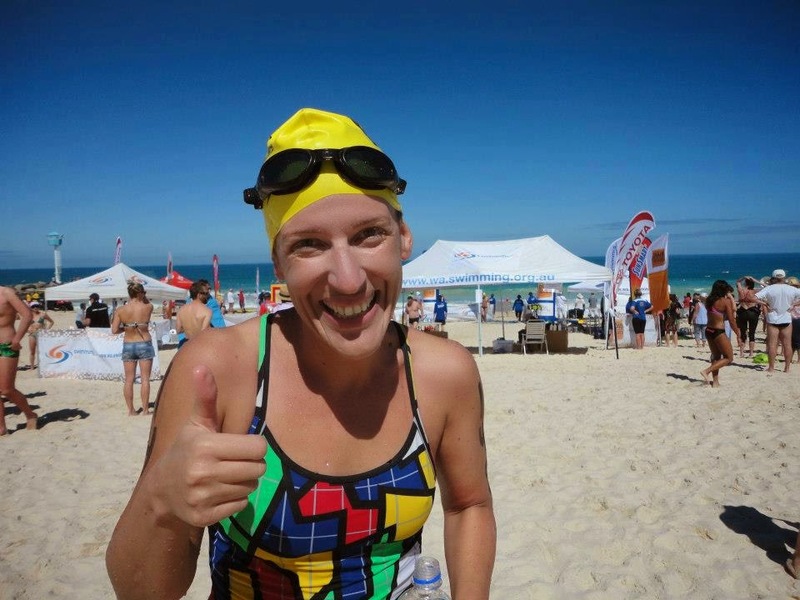 She explained she has been participating in triathlons and is largely self taught on the freestyle stroke from what she had read and viewed online. Her big aim was that she wanted to “feel like a swimmer” and feel that she could improve. I certainly got the impression during our pre-video Analysis chat that she wasn't convinced she could. As you’ll see from the shot on the left Jill was just breathing to her right and over rotating whilst doing so which also led to a very noticeable scissor kick. Her left arm was recovering very low across the water due to very little rotation to the left. This meant her entry was very efficient and resulted in he left arm collapsing away with very little traction or control. That said as someone who was largely self taught I was impressed that Jill had got herself to a point where she could comfortably cover her race distance. So it was time for a tune up! Jill was quick to point out that she lacked flexibility in her shoulders so the first step was to adjust the hand entry and set up at the front of her stroke to allow for this. This immediately freed things up for Jill and she started to tell more relaxed and in control. The next step was to tune up Jill’s catch and pull to deliver more traction and propulsion in the early phase of her stroke. Using a combination of drills from the Swim Smooth toolbox she very quickly saw the return. This combined with my favourite visualisation of “climbing an imaginary ladder” (yes we do psychology in our coaching too) Jill made a significant improvement in just 90 minutes, So much so I grabbed my iPhone and grabbed the footage on the right! The day after Jill emailed some very positive feedback! Megan has made HUGE improvements to her swimming speed, taking over 40 seconds per 100m off her CSS pace! Meet Megan - she looks innocent enough doesn't she? As we said at the time: Megan has developed a great little stroke packed with punch and rhythm. She's developed a good feel for the water despite not having any swimming background. She's determined, she's persistent and she's swim fit. And the really scary thing (for our top lane) is that she's still improving! Check out her before and after footage from the link above. Looking for these sorts of improvements yourself? 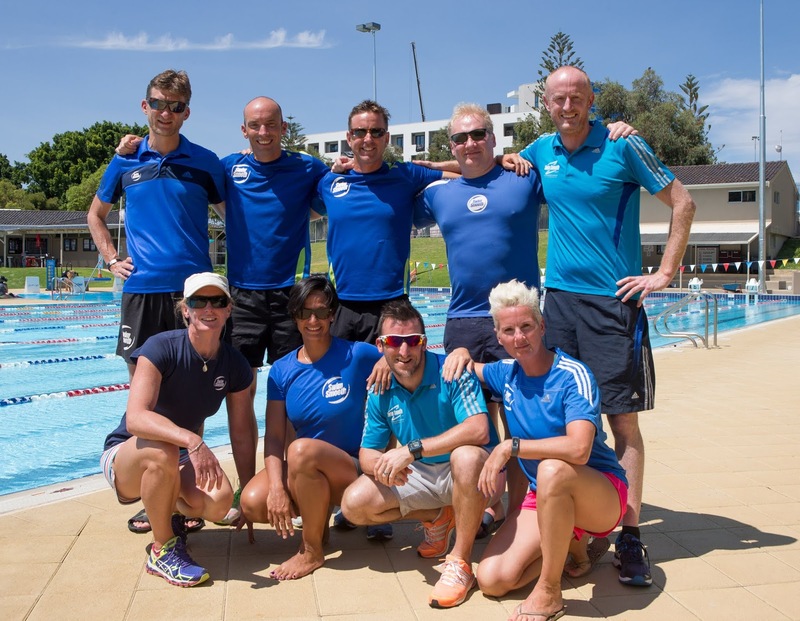 There are nearly 50 Swim Smooth Coaches spread around the world, all highly trained and ready to be unleashed on your swimming. Super friendly and incredibly talented - book in for a session with your local SS coach today.